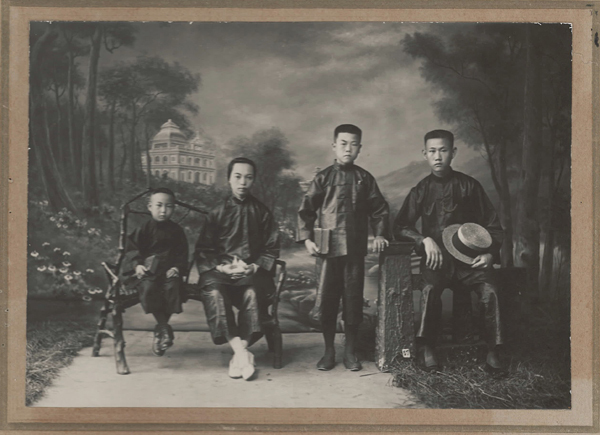 “Lee Kim (Gim) Hoy family portrait,” 1924, Chinese Exclusion Act case files, RG 85, National Archives-Seattle, Lee Kim (Gim) Hoy case file, Seattle Box 768, 7030/11374. [This is a thick file.] 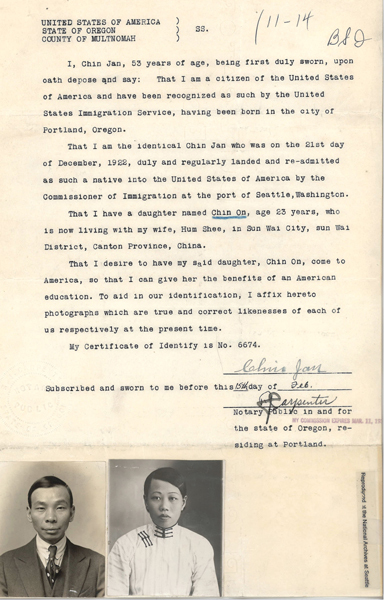 Lee Kim Hoy, age 19, arrived in Seattle on 22 August 1938 on his way to join his father, Lee Ben, in Canton, Ohio. His status was listed as the son of U. S. citizen. He was denied entry on 14 October and finally admitted on 29 December more than four months after his date of arrival. 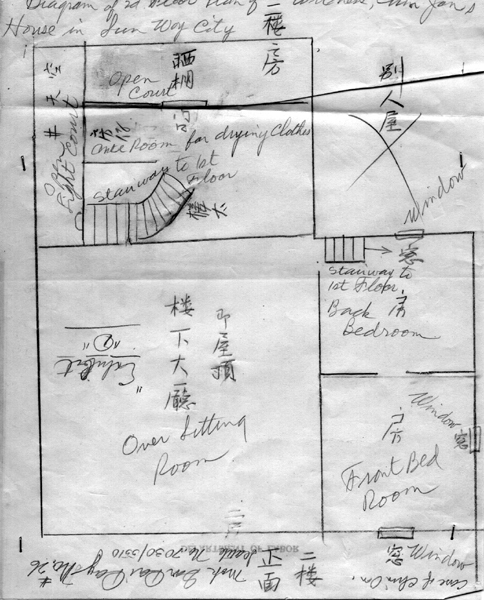 The file contains two floor plans of the family home in Bow Ngin (Bo Yuen) Village, Hoy Ping District, China—one of the first floor and one of the second floor, an affidavit with photos of Lee Kim Hoy and his father, several witness statements and a family portrait. The immigration commissioner also reviewed three Seattle files and four San Francisco files of other family members. 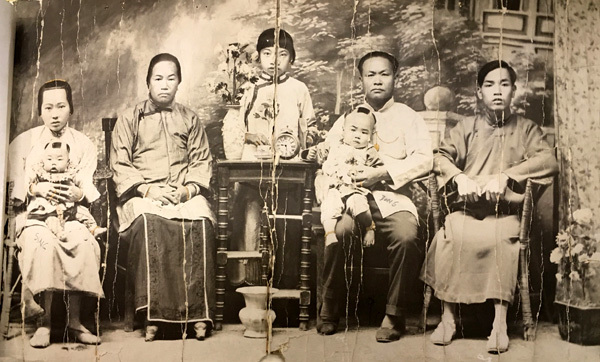 When Lee Kim Hoy was first interrogated he was reminded that the burden of proof was on him to prove that he was not subject to exclusion under any provision of the immigration or Chinese exclusion laws. His father and brother testified on his behalf. 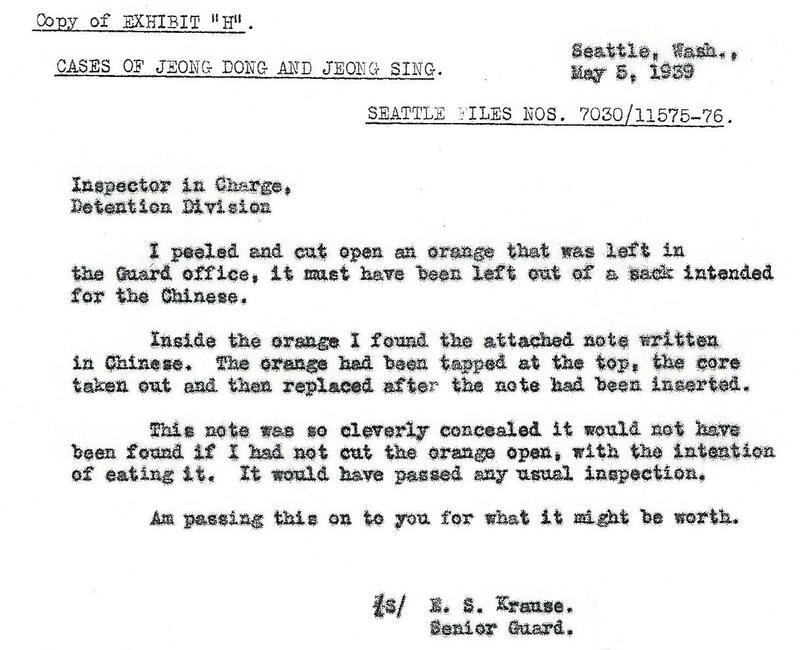 There were many more questions; this interrogation was seven pages long. 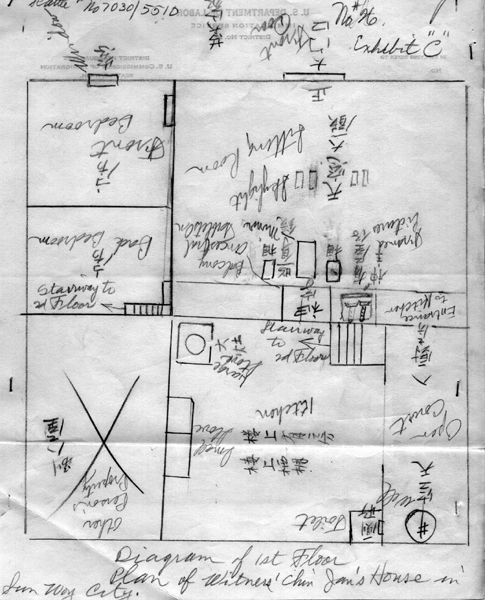 His father’s interrogation was six pages long and his brother’s was four pages. Lee Kim Hoy and his father, Lee Ben, were recalled for more questioning. They were asked about several discrepancies. The most serious one was that Lee Ben told them twice that he was single when he returned from China in 1918. In his 1938 interview he said that his son, Lee Kim Hoy, was born 3 May 1919. 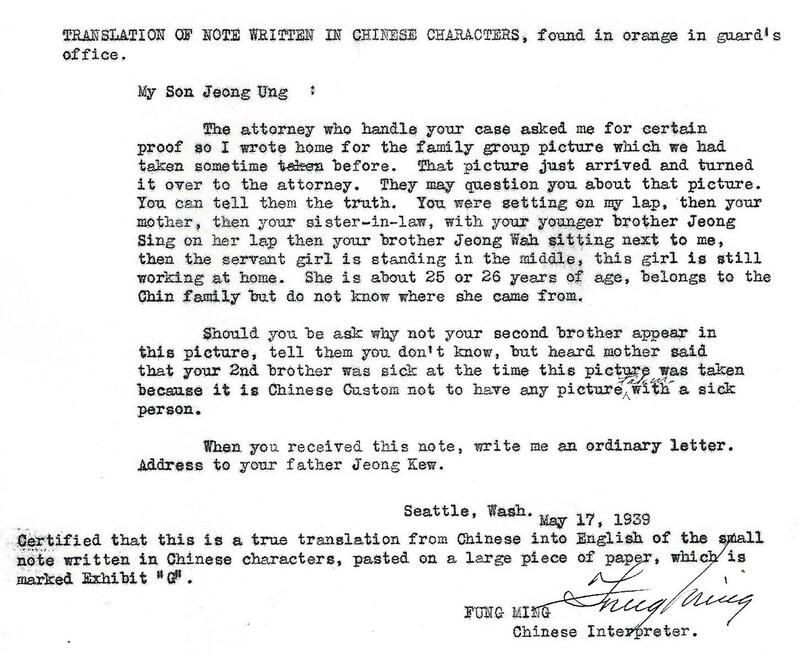 Lee Ben’s interrogators did not believe that Lee Kim Hoy was his son. 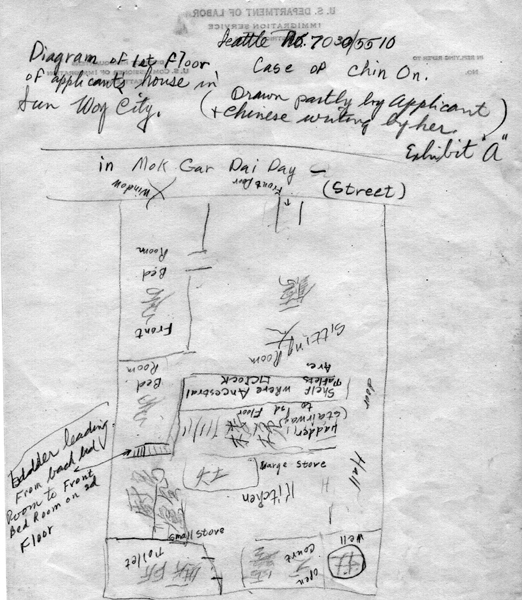 The conclusions of H. Z. Smith, the chairman of the inquiry, were three pages long. He noted that Lee Kim Hoy’s correct name was Lee Gim Hoy. His alleged father, Lee Ben (Charley), was born in New Orleans, Louisiana on 14 January 1902 and his birth certificate was included in his San Francisco file 17555/10-5. Lee Ben testified on two different occasions in 1918 that he had never been married. The chairman did not believe that the relationship between Lee Ben and Lee Kim Hoy had been satisfactorily established. 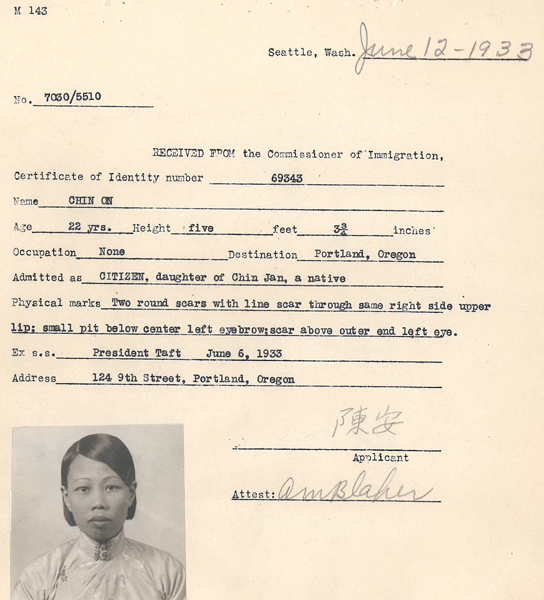 Lee Kim Hoy was denied admission into the U.S. in October 1938 but given the option to appeal. The application was reviewed by Immigration & Naturalization Service in Washington, D.C. Lee Gim Hoy’s attorneys were Edwards E. Merges of Seattle and Parker & Parker of Washington, D.C. A transcript of the appeal is not included in the file. Lee Kim Hoy was admitted on 29 December 1938. 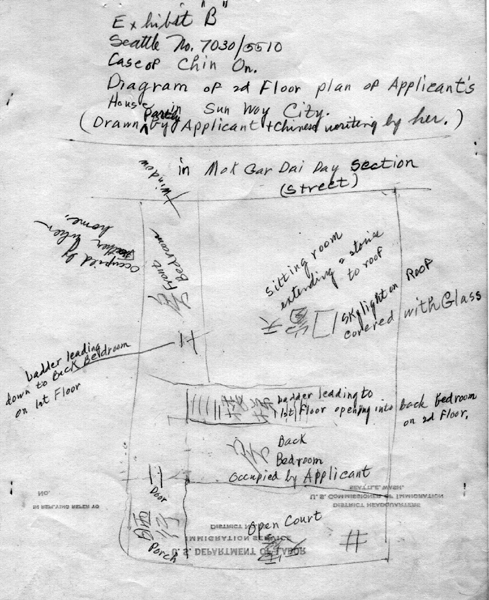 “Lee Kim (Gim) Hoy and Lee Ben affidavit photos,” 1938, Chinese Exclusion Act case files, RG 85, National Archives-Seattle, Lee Kim (Gim) Hoy case file, Seattle Box 768, 7030/11374.